“Water isn’t just something we drink; it impacts everything,” said Koo-Oshima. Given the scarcity of water in many parts of the world, we must use wastewater to meet the needs of millions of people. “Treated wastewater is a safe and reliable source of water that can be used to offset water scarcity and energy consumption,” said Koo-Oshima. But even when wastewater has been treated and is entirely safe, many consumers remain skeptical. “Reuse schemes can still fail without public acceptance and awareness, so it is very important for planners to adequately account for the dynamics of social acceptance, awareness-raising, and education tailored to the consumers and the general public with different cultural/religious backgrounds,” said Koo-Oshima. In Singapore, which imports over half of its water from neighboring Malaysia, water security is a top priority. Singapore has built desalination plants, rainwater collection plants, and, most importantly, membrane-based technology to treat sewage water and purify it for reuse, making it one of the first countries to do so on a significant scale. This technology, named NEWater, already meets 30 percent of Singapore’s water needs. To ensure that everyone is on board, Singapore has incorporated the importance of reuse and conservation of water into its public education programs in schools. “They have a huge and very effective public relations campaign around it,” said Jon Freedman, Global Government Affairs Leader at SUEZ. “NEWater is treated wastewater in a bottle, and they have government officials who will publicly drink it,” he said, to prove to the public that the water is completely safe and healthy. 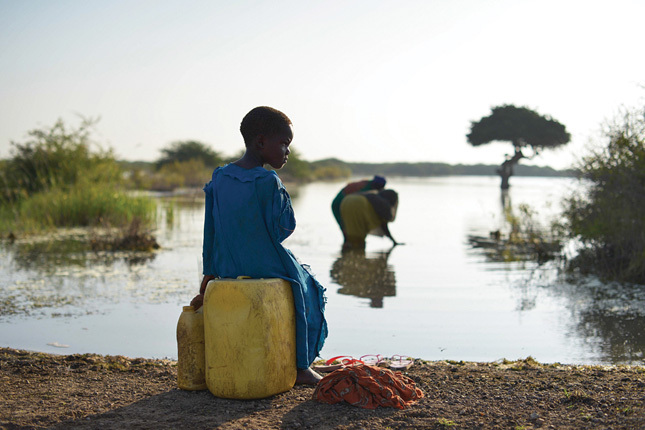 Water scarcity has a disproportionate impact on women and girls in developing countries, where they are mainly responsible for collecting water for their households. Women “generally have to walk miles to find a drinking water source,” said Robyn Fischer, Senior Policy and Advocacy Officer at WaterAid America. In sub-Saharan Africa, women collectively spend “16 million hours collecting water each day, which is almost 25 percent of their time,” she said, which severely impacts their ability to receive a quality education, increases their exposure to violence, and leads them to miss other opportunities for advancement. The long, arduous treks can have lasting effects. “When women and girls are no longer in school, there is a heightened risk of early marriage and early pregnancy, low lifetime earning potential, low decision-making power and political participation, all of which perpetuate the cycle of poverty,” said Fischer. Women also need clean water to meet their hygiene needs during menstruation and pregnancy. “Women must be directly involved in all aspects of the water value chain,” said Fischer, including processes such as constructing wells, participation, design, implementation, and monitoring of wastewater facilities. “Integrated approaches that also address gender-based discrimination are key for women to truly benefit,” she said. 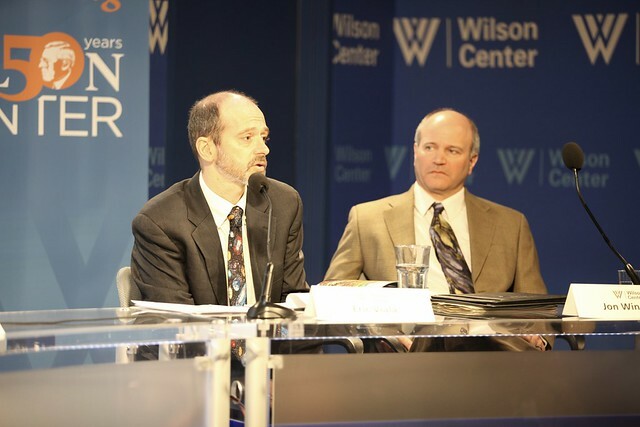 “Agriculture, here in the U.S. and in many parts of the world, is the leading cause of water quality degradation,” said Jon Winsten, an agricultural economist working in the Ecosystem Services Unit at Winrock International. “What we really need are flexible and efficient solutions that help farmers to mitigate nutrient and sediment loss from their fields without being too disruptive to productivity,” said Winsten. Performance-based incentives can serve as a price for pollution control, thereby allowing environmental performance to be incorporated into farm business planning. The rapid rate of population growth makes the challenges of water and wastewater even more pressing —and potentially even greater threats to peace and security. As the world grows to nine billion people, most of them living in cities, “the global water challenges are enormous, and water depletion and degradation are recognized as a potential destabilizing factor,” said Koo-Oshima. And climate change threatens to exacerbate these problems, especially in fragile states: “If climate change is the shark, then water is its teeth,” she said. Instead of saving “the same lives over and over again,” which is like “pouring water in a leaky bucket,” we should look carefully at improving overall livelihoods, and have a “more integrated approach to water management,” said Viala. Photo Credit: Girl by water, December 2013. UN Photo/Tobin Jones.